Since embarking on the comprehensive child protection reform in 2007, Bulgaria has made a commendable progress. 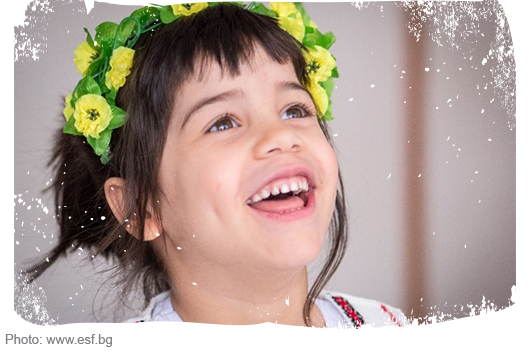 The Government’s commitment to achieve a complete transition from institutional to family- and community-based care by 2025, coupled with continued EU support, made Bulgaria a pioneer Member State in leveraging EU funding for catalyzing reforms in child protection. Some of the most important outcomes of the reform include 80% decrease in the number of children placed in institutional care: from 7,587 children in 2009 to 979 children at the end of 2017. 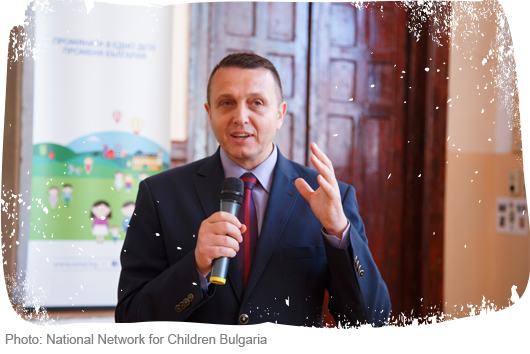 Of the 137 institutions that were identified for closure in the National Strategy “Vision for De-institutionalisation (DI) of Children in Bulgaria” in 2009, only 36 remained by 2017. As of 2017, all specialised institutions for children with disabilities have been closed. There has also been a considerable increase (over 200%) in the number of children in foster care. Admissions to institutions for children in Bulgaria have witnessed a 60% decrease. There are more than 600 social services for children now funded by the national budget. Over €100 million from the EU structural funds, including the European Social Fund, the European Regional Development Fund and the European Agricultural Fund for Rural Development, have been allocated to support the process of deinstitutionalisation. The process of transformation is additionally supported by a number of international and local organisations, private donors and UNICEF. In 2017, in line with the National Strategy on deinstitutionalisation, 6 more institutions for children were closed down in Bulgaria. However, the National Network of Children Bulgaria, the Coalition 2025 and the Expert Working Group on Deinstitutionalisation1 express concerns that the 2016-2020 Action Plan for deinstitutionalisation lacks clear division of responsibilities between relevant authorities; there is no multilateral coordination of activities with partners and stakeholders; the document lacks detailed planning, including specific timelines and monitoring. Furthermore, there was no consultations held regarding different operations under the Operational Programmes: neither in the Expert Working Group on Deinstitutionalisation nor in the Inter-Ministry Working Group (within the Council of Ministers). There are still more than 10,000 children who live in the out-of- home care, separated from their families in Bulgaria. In 2017, there were 2,320 children in foster care, 5,283 children in kinship care and 3,059 children in 283 Small Group Homes (SGHs)2 in Bulgaria. Even with clear progress, challenges still exist in Bulgaria. It is a worry that 49% of children in institutional care in Bulgaria are at an early age (0-3) who are considered the most vulnerable in any care system. Almost 200 children in conflict with the law and children with delinquent behaviour remain in institutional care, although institutions for children in conflict with the law are excluded from the strategy on deinstitutionalisation. As a result, children who live in six of such institutions are not included in the official statistics as “being institutionalised”, even though they are undoubtedly living in institutional care. A plan for the closure of these institutions and their transformation into new type of services is envisaged in a new draft legislation the adoption of which is already pending for 3 years. Furthermore, unaccompanied and separated children arriving in Bulgaria continue to be placed mainly in the reception and registration centres for refugees (RRCs) where there are no suitable conditions to provide adequate care and to ensure children’s safety. Currently, State Agency for Refugees and the International Organisation for Migration are working on a project that will ensure “sure zones” in two RRCs in Sofia. In 2017 the work on developing a new Social Services Act was resumed. A large number of different stakeholders consolidated their efforts around the need for a new approach to social development and new bridges for dialogue in support of changes to benefit all people in need of social assistance. This marked the beginning of a reconsideration of cooperation opportunities between the civic sector and state authorities in public policy making. 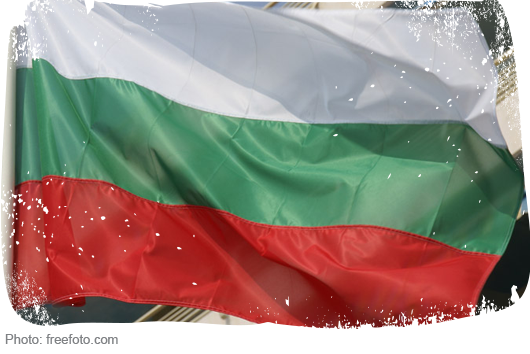 In September 2018, Bulgaria began implementation of a two-year project “Continuing support for deinstitutionalisation of children and young people”. This EU-funded intervention under operational programme “Human Resource Development” will be realised by the Agency for Social Assistance in partnership with the State Agency for Child Protection, the Ministry of Health, the Ministry of Labour and Social Policy and the Ministry of Education and Science. It is expected that upon completion, all old-type institutions for children will be closed. Through newly-built social infrastructure, including family-based care alternatives and community-based support services, children will receive better quality individual care. The grant totals to 3 million leva (1.5 million Euro). Civil society raises serious concerns about the quality of all types of alternative care placements and the ways that decisions in relation to children are made, implemented and monitored. The Bulgarian child protection system is severely under-resourced. There is an acute shortage of staff, poor material resources, and high turnover of social workers who lack competency-based standards, training and supervision. At the same time, problems related to the work of the SGHs remain unsolved, although these are the main services that provide alternative care to children who were removed from the institutions. All these challenges have a detrimental impact on the process of deinstitutionalisation reforms and the overall quality of alternative care in Bulgaria.